I had some scrap brass and walnut (?) 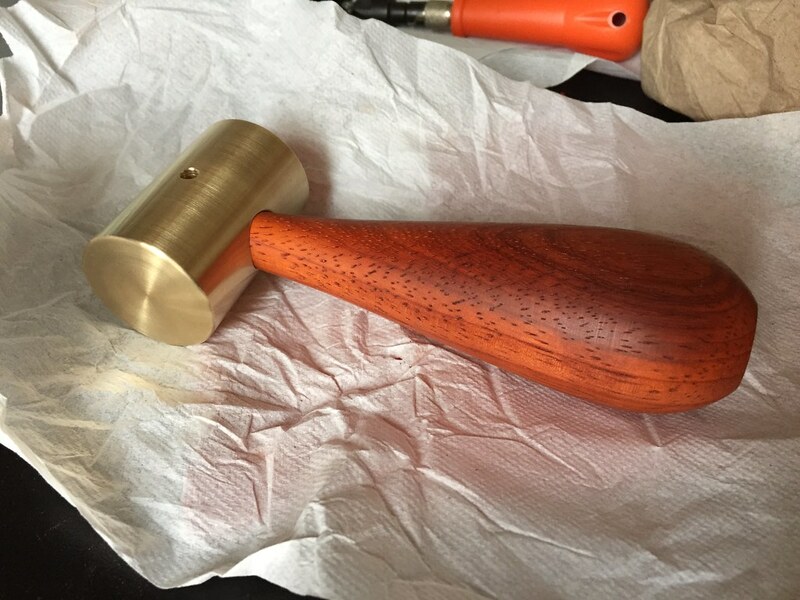 lying around and figured I’d try making a brass headed hammer. 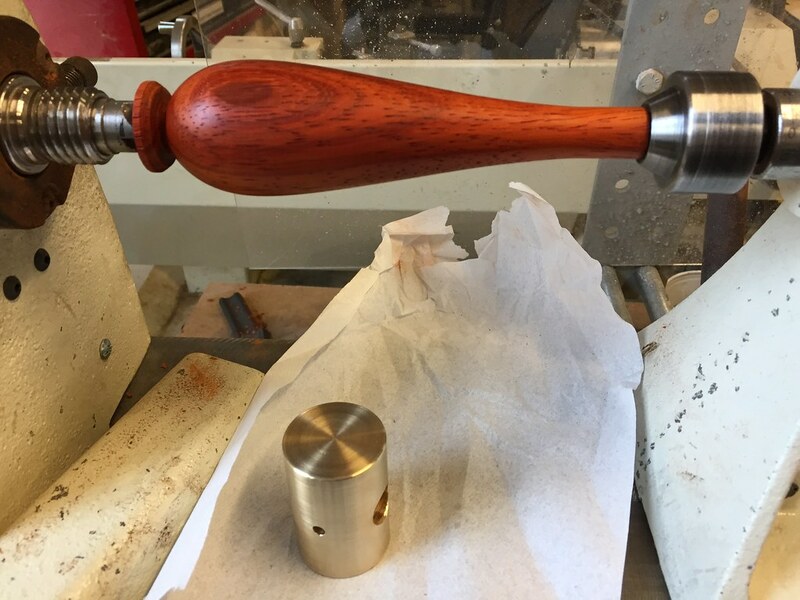 I did all of the work on a wood lathe. 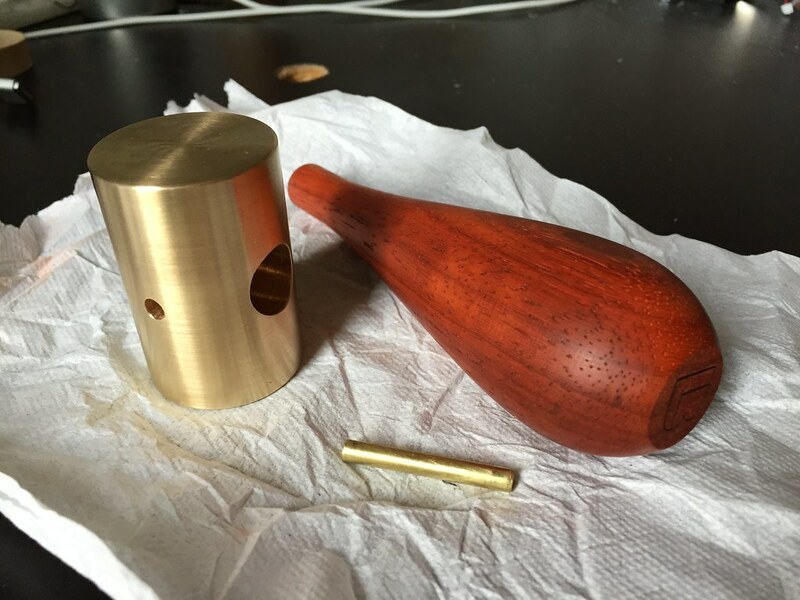 Brass can be worked with wood turning chisels, kind of amazing. 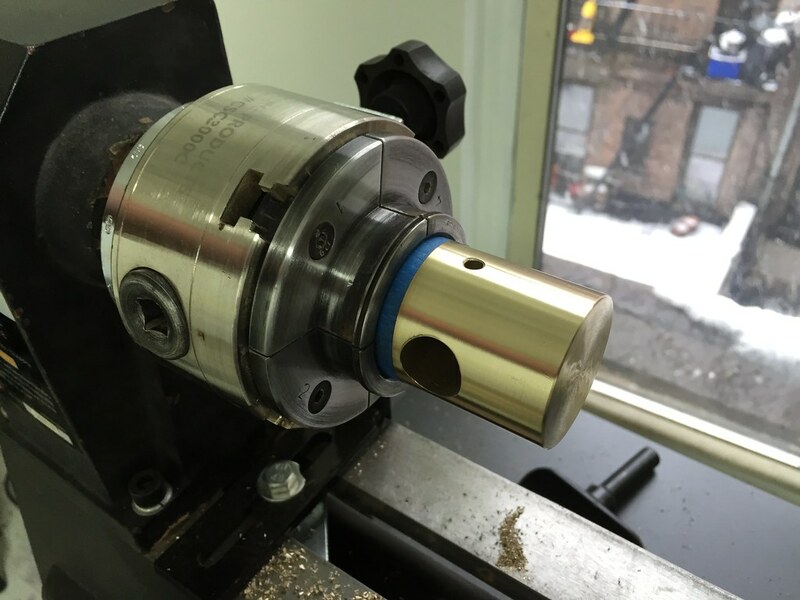 This entry was posted on Friday, March 30th, 2018 at 10:31 am	and is filed under Get Yourself a Lathe. You can follow any responses to this entry through the RSS 2.0 feed. Responses are currently closed, but you can trackback from your own site.